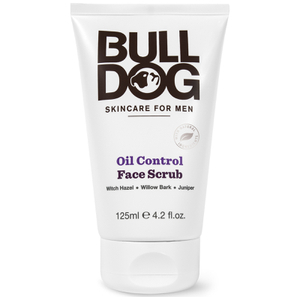 Specially designed to care for male skin, the Bulldog Original Moisturiser Cracker deeply nourishes and conditions without leaving your face greasy or oily. 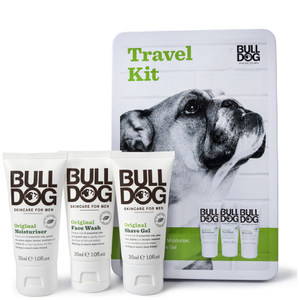 Expertly blended with eight essential oils, including Bergamot, Cedarwood and Patchouli, the fast-absorbing cream delivers intense moisture, whilst antioxidant-rich Green Tea and Vitamin E defend against environmental aggressors. Soothes just-shaven skin and improves skin texture for a touchably soft feel. Housed in cracker packaging. Suitable for vegans and vegetarians. Certified cruelty free. Made in the UK. Aqua (Water), Ethylhexyl Palmitate, Caprylic/Capric Triglyceride, Glycerin, Sodium Polyacrylate, Sorbitan Stearate, Pentaerythrityl Distearate, Phenoxyethanol, Tocopheryl Acetate, Sodium Stearoyl Glutamate, Benzoic Acid, Carbomer, Dehydroacetic Acid, Mannan, Camellia Sinensis Leaf Extract, Hydrolyzed Algin, Citrus Aurantium Bergamia (Bergamot) Peel Oil, Citrus Limon (Lemon) Peel Oil, Sodium Hydroxide, Ethylhexylglycerin, Artemisia Vulgaris Oil, Maris Aqua (Sea Water), Pelargonium Graveolens Oil, Pogostemon Cablin Leaf Oil, Chlorella Vulgaris Extract, Citrus Aurantifolia (Lime) Oil, Evernia Furfuracea (Treemoss) Extract, Juniperus Virginiana Oil, Vetiveria Zizanoides Root Oil, Citral, Citronellol, Geraniol, Limonene, Linalool. 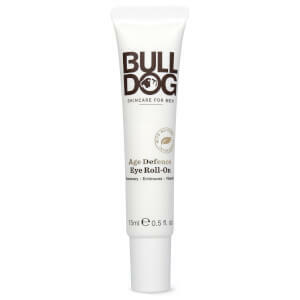 Bespaar 25% op Bulldog Skincare for Men. *De korting is al in prijs verwerkt. De aanbieding is voor een beperkte tijd.